A stream of police cars chasing after a deranged ice cream truck driver has captivated the attention of the greater Los Angeles area. Dozens of teens flock to the streets with their video cameras and cell phones, hell-bent on capturing the next viral video. 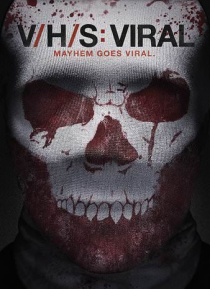 As they'll soon find out, these fame-obsessed amateur videographers, capturing salacious footage for the amusement of the public, are themselv… es the stars of the next big viral video - one where they face their own horrifying deaths.